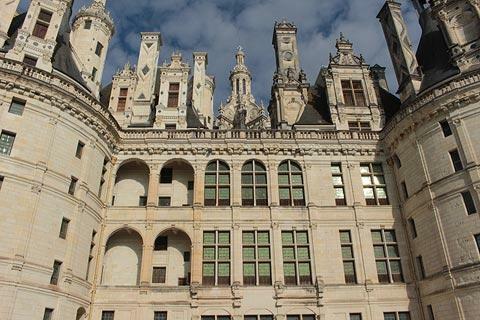 Chateau de Chambord is the largest of the Loire Chateau, and also the most visited. 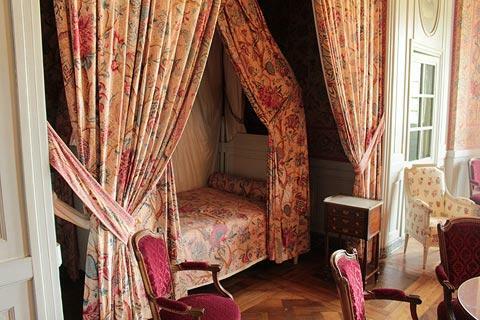 The chateau is situated in the eastern part of the Loire Valley, a short distance east of Blois. France This Way comment: despite the great size of Chambord castle it is quite easy to visit and you can explore the major highlights and gardens in less than two hours...or spend a lot longer here if you prefer! 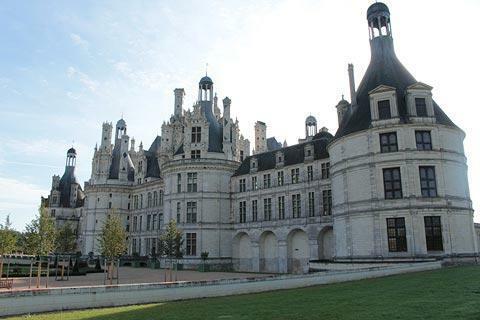 It is a very impressive castle, expecially the main staircase and the roof terraces, and should be on your list of 'chateaux that must be visited' when you are exploring the Loire Valley. 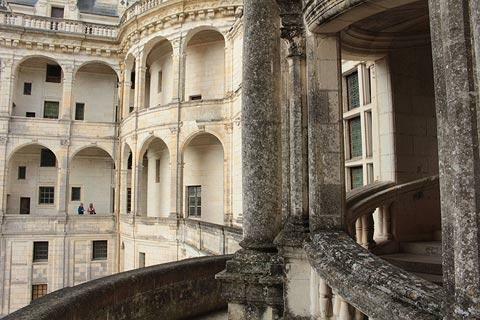 Originally built as a 'hunting lodge' for King Francois I - his 'main' royal palaces can be seen at the Château d'Amboise and the Château de Blois - Chambord is a magnificent sight both when viewed from outside and when enjoying a tour of the opulent interiors. The castle was designed and built to excel, and it does that grandly: even the Loire River is said to have been diverted to make a bit more space for its construction! The castle at Chambord was built as a hunting lodge, although after spending more than two decades having the castle built, Francois I himself only actually spent seven weeks in the castle, when he was hunting in the region. A King's hunting party consisted of around 2000 people, making the logistics of a visit very complicated. Since the castle was more or less unused, it also remained unfurnished and of course unheated at that time. After the death of Francois I in 1547 the castle remained in a state of abandon for almost 100 years, at which point Gaston d'Orleans was given the castle by his brother, King Louis XIII. 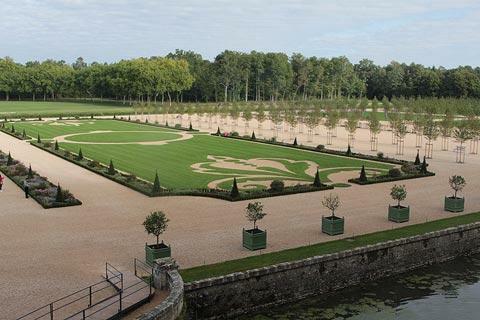 He started major renovation works, which were subsequently carried on by King Louis XIV who also had the immense stables built, sufficient to house the several hundred horses that were needed for a royal hunting trip. Despite all this work and expense, Louis XIV (the Sun King) also abandoned the castle after a few years, from 1685. Chambord castle had a couple more periods of occupation over the following century, both relatively brief, and by 1750 it was once again in a state of abandon. While the revolution spared the structure it did result in the furnishings that had been added during the renovation works to be sold, and the castle remained empty until the early 19th century. A French miltary leader was then given the property by Napoleon - he died soon after and his widow sold the castle to the Duke of Bordeaux, who soon after got exiled from France. Another forty years on and Chambord was pressed into service as a hospital during the 1871 Franco-Prussian war. Yet again the decades that followed led to the castle changing hands on occasion, and being occupied for some periods. 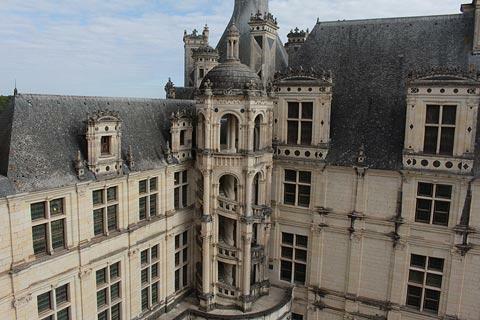 In the middle of the 20th century the castle passed into government ownership and was subsequently renovated: when you visit and see the extraordinary size and grandeur of the structure it is remarkable to remember that Chateau de Chambord has stood empty for the large majority of the last 550 years. 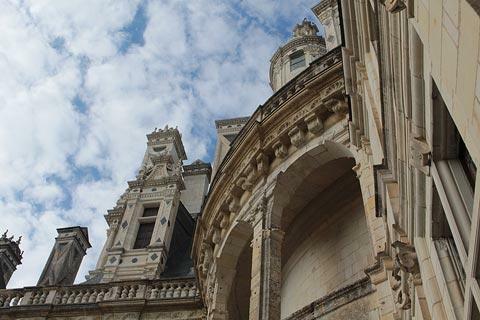 As you approach the Chateau de Chambord you will quickly appreciate the extraordinary amount of detail involved in every aspect of the building. The castle's distinct French Renaissance architecture combines traditional medieval defensive structures with classical Italian aspects: it dates from the time when chateaux in the Loire no longer needed to have medieval defenses, but elements such as towers and moats were retained for their aesthetic beauty. 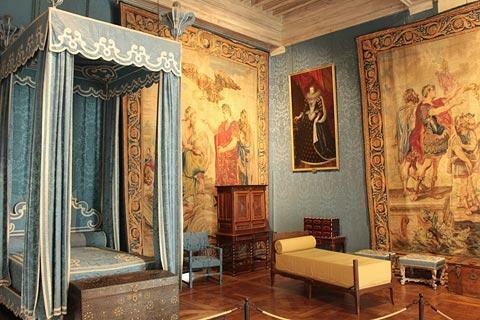 The design is attributed to various architects and influences during the 25 years it took to build in the first half of the 16th century, including the input of Leonardo da Vinci, when he was a guest of the King staying nearby (at the Chateau de Clos Lucé). The main body of the castle is roughly square in shape, with a large tower in each corner. There are also two symmetrical wings to the castle, each ending with a substantial tower. 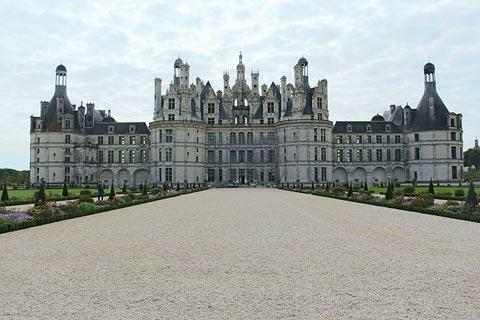 There are more than 400 rooms in the Chateau de Chambord and almost as many fireplaces, as well as 84 staircases. 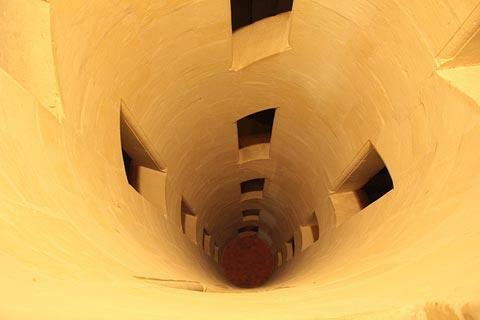 The central staircase is one of the architectural highlights of a visit: this stone staircase rises the height of Chambord castle, and is of a 'double helix' form - this means that two 'independent' staircases are wound around each other, such that people going up the stairs will not meet those coming down. Also on the ground floor you can see several of the grand rooms of the castle such as the hunting room and the room of the Bourbons as well as the 18th century kitchens and the collection of traditional horse-drawn carriages. On the first floor it is the beautifully furnished bedrooms that are the main attraction as well as a small chapel and oratory. 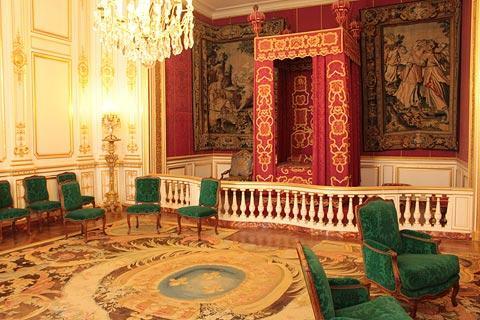 The second floor includes the incredible vaulted ceilings that incorporate the symbols of King Francois 1 as well as several exhibition rooms dedicated to hunting. 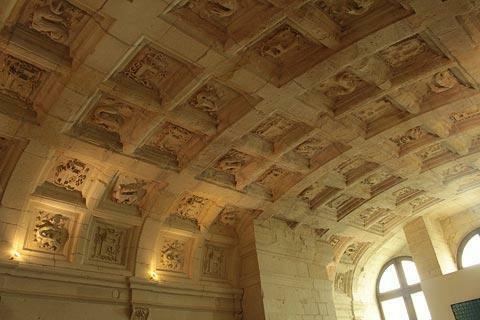 From this floor you can access another architectural highlight, the ornate roof that makes Chateau de Chambord so recognisable. 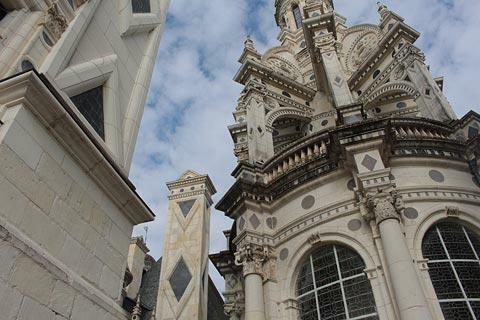 At a glance the roof is symmetrical but look closer and you will see that is not the case - among the numerous towers, light wells and decorative features there are many variations from left to right. When you reach this top level of the castle you can walk between the towers (the square towers are the tops of chimneys and the round towers are the tops of staircases) which at times is rather like walking through streets in a historic town, and admire the enormous attention to detail in the masonry work as well as lovely views across the gardens. 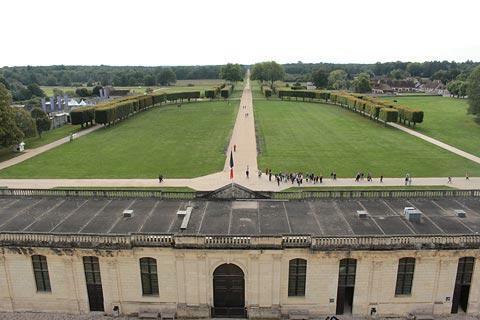 Apart from the building itself you can also enjoy exploring the formal gardens around the edges of Chateau Chambord as well as the very extensive parkland. 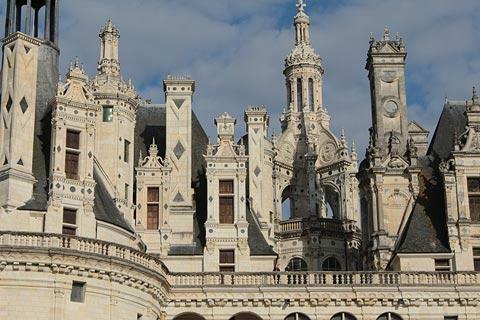 You can see more pictures and detail of Chateau Chambord in our French Castles section. You will perhaps be pleased to know you can visit as you wish - there is no need to listen to a guide explaining each of the rooms. 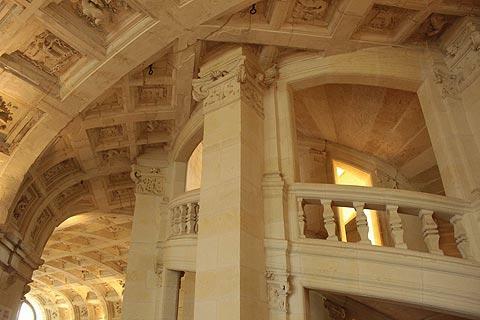 However be sure to pick up the explanatory leaflet or ask for details of the phone or tablet application that helps make a visit more interesting so that you have some feel for the history of the more important rooms and architectural highlights at Chambord. Entry to the castle costs around 13 euros, which is very reasonable for a chateau of this size and with so much to see. 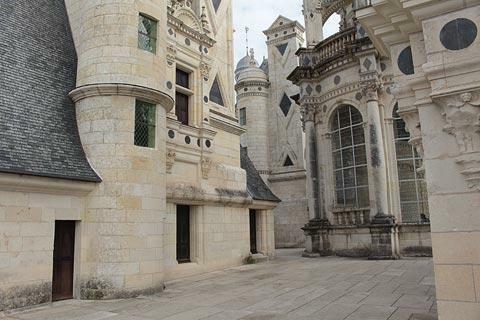 Unlike other castles in the Loire valley you will also need to pay a few euros for parking your car. The castle is open all year except January 1 and December 25, 9:00 - 17:00 in winter and 9:00 - 18:00 from April to October. Inside the entrance to the castle there are several small cafes and restaurants. 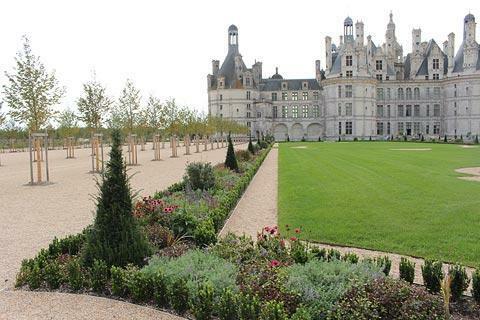 Of course Chambord is just one of the highlights of your tour of the Loire Valley castles. Other important castles close to here include the Château de Chaumont and the Château de Cheverny, both to the west of Chateau de Chambord.